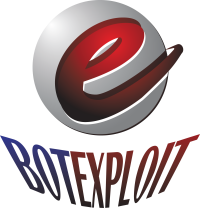 Botexploit is your ultimate choice of 3rd party Gold and Item Farming Tool. Get 12 Hours FREE Trial Now !!! This features allows you to level a new Season character with one click. You start botting with auto equip enabled, then you go to bed and wake up in the morning the next day. Your character is already level 55. Look at this tutorial for more details. Lots of Profiles – Greater Rifts, Rifts, Act 1/4 Bounty, and many more! We’re the first bot to support Greater Rifts! (and the only bot as of now! ) We have lots of profiles! We have profiles for Act 1, 2, 3, 4, 5! You can also write your own profile! Specially designed to allow you minimum effort to generate at least 3 times more gold then existing bot on the market and super fast leveling time. First choice feature for Gold Farmers. If you want to play save, we have a non-speed hack feature. In that way we don’t write memory to game exe. Blizzard has no way to detect us. Player can filter out what kind of loot our bot picks up, according to their needs, as well as what to stash or sell. Settings are also available to allow players to choose what items to not identify and stash them. You can even modify the loot file rules yourselves. Farming in a group will increase the drop rate and experience gained. Please purchase 2 license if you want to bot two accounts at the same time. We provide fastest update! We support Diablo 3 2.6.1 Patch! When the game is updated, you don’t want to wait for days until the bot updates. Our updates come very quickly, usually within one or two days after the game updates. We are faster than all of our competitors! * We will be the fastest bot to support Reaper of Souls! When you have a good idea about how the bot should fight in Diablo 3 ROS, loot and farm to get the valuable items to sell. just tell us and we’ll implemnt them! We support our users through email and forum. We provide quick feedback and solutions to your problems. Be assured that we will continuously improve our bot and come out with regular patches for you to enjoy better botting experience. Grab on now and embark on your ultimate botting journey.